Tamil actor Karthi’s latest venture ‘Sakuni’ is in last leg of its production. Makers of the movie are trying to finish all the production formalities by this month end and planning to release the movie on June 22th. Gnanavel Raja producing this movie on Studio Green Banner. Ballemkonda Suresh releasing this movie in Telugu. Bava fame Praneetha is playing the female lead in this film. Santhanam and Radhika are playing other important roles. GV Prakash is composing the music for this film. The film has political backdrop and the karti is playing a different role from his previous films. 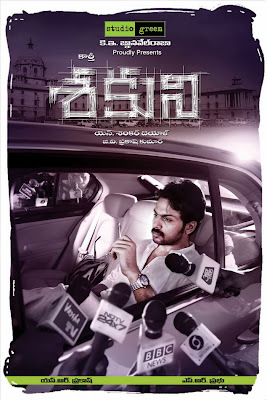 This is the dubbed version of Karthi’s latest Tamil film ‘Saguni’.